Our family looks forward to your visit and the opportunity to share our estate and single vineyard wines. Enjoy tasting flights paired with "small bites" in our Tasting Barn, stroll the grounds and vineyards, or relax by the scenic pond and sip a glass of wine. We invite you to experience the Taste and Hospitality of STONUM!! Tasting Fee: $10.00 / person. Refunded with purchase. 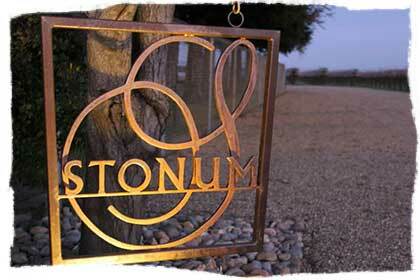 Stonum Vineyards Wine Club Members receive complimentary tasting. Group Policy – Stonum Vineyards requires reservations for groups of six or more. For questions or to make a reservation, please call our tasting room at (209) 224-8130. Private Tastings are available by appointment. For questions or to make a reservation, please call our tasting room at (209) 224-8130.